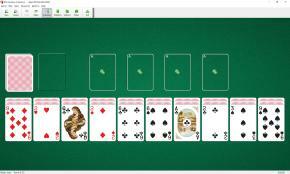 Westcliff Solitaire uses one deck (52 cards). 30 cards are dealt to 10 tableau piles with three cards per pile. The top card of each pile is face up. The Aces are moved to the foundations as they become available. The top cards of tableau piles and waste pile are available to play. You may build tableau piles down in sequence and alternating color. One card or group of cards in the proper sequence can be moved from pile to pile. 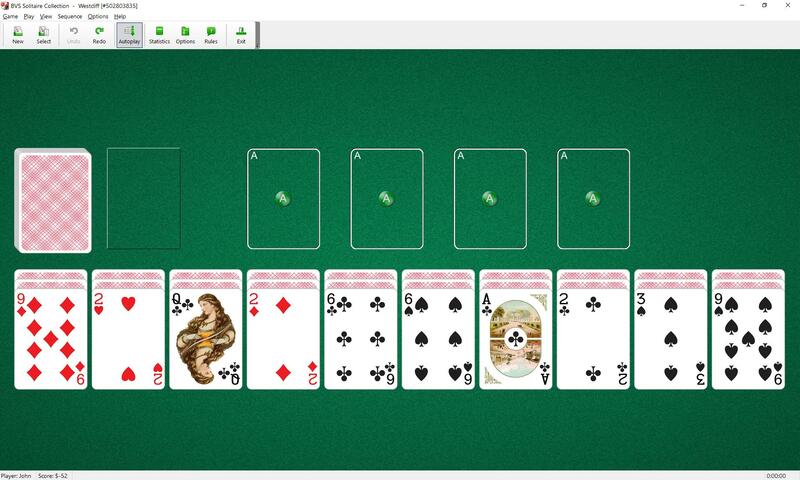 Empty tableaus may be filled with any single card or group of cards in proper sequence.